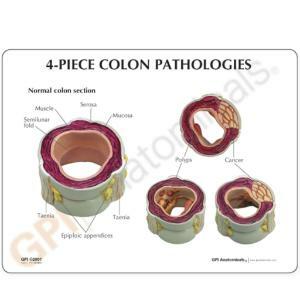 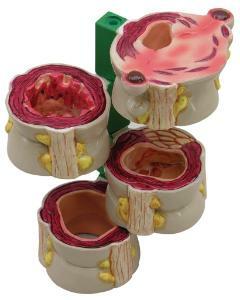 This unique cross-section of the human colon features four pieces on a rod, each demonstrating either normal or diseased conditions. Common structures include serosa, muscle, mucosa, semi lunar folds, taenia, and epiploil appendices. 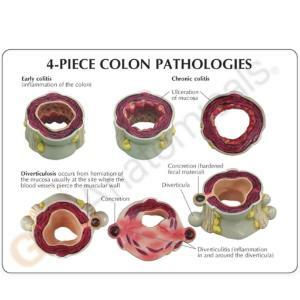 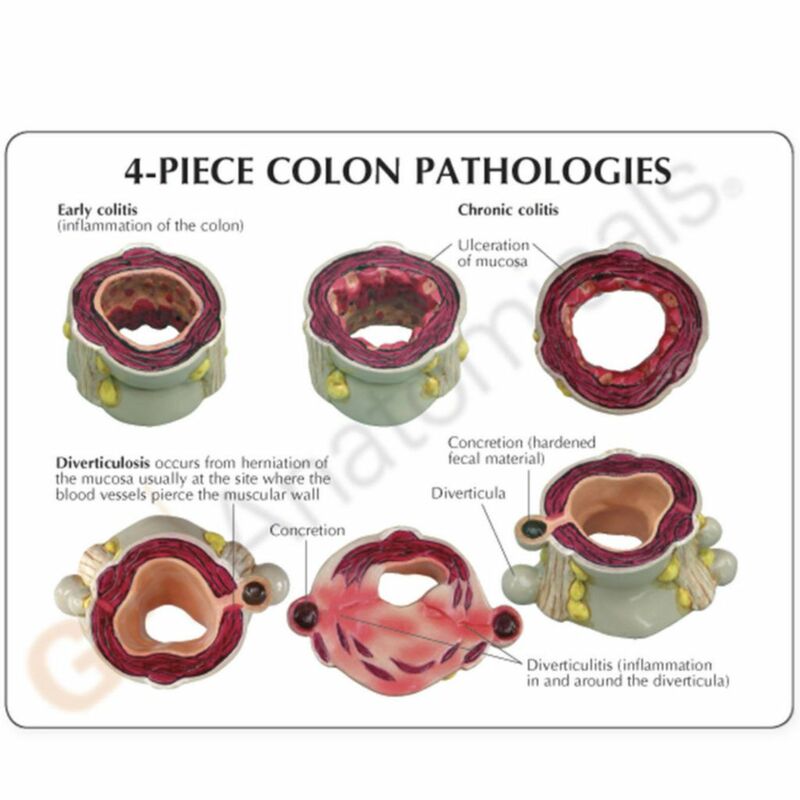 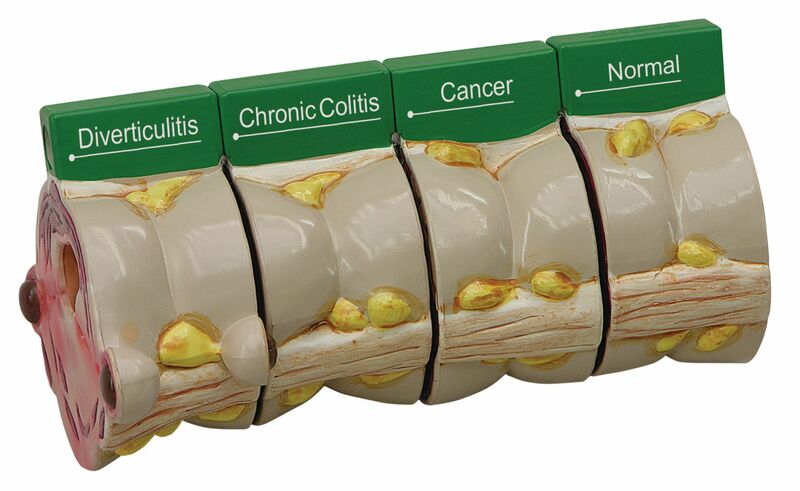 Use the model to show the various pathologies of polyps, cancer, diverticulitis, and colitis.